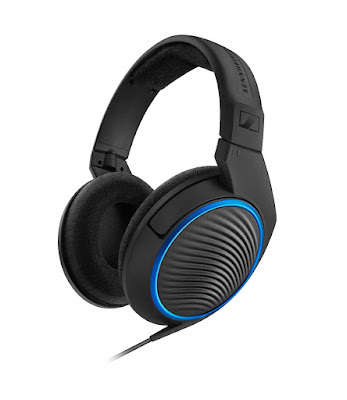 Sennheiser, the German audio brand, offers another ear-tertaining product through the HD451 headphones. It offers vibrant stereo sound with powerful bass response as well as highly appealing aesthetics all in one compact package. Its state-of-the-art transducers deliver clear, vivid sound reproduction, and the closed, circumaural design helps shut out disturbing outside. While the single-sided cable virtually eliminates tangling, thus guaranteeing improved freedom of movement on the go. No wonder, audiophiles have given positive reviews towards the HD451. Marshall Honorof wrote, “The bass was surprisingly present, whether it was highlighting a bass guitar or a choir of singers, and great bass is something of a rarity for headphones at this price level," while the site Soundguys hypes its affordability despite being quite high-end.